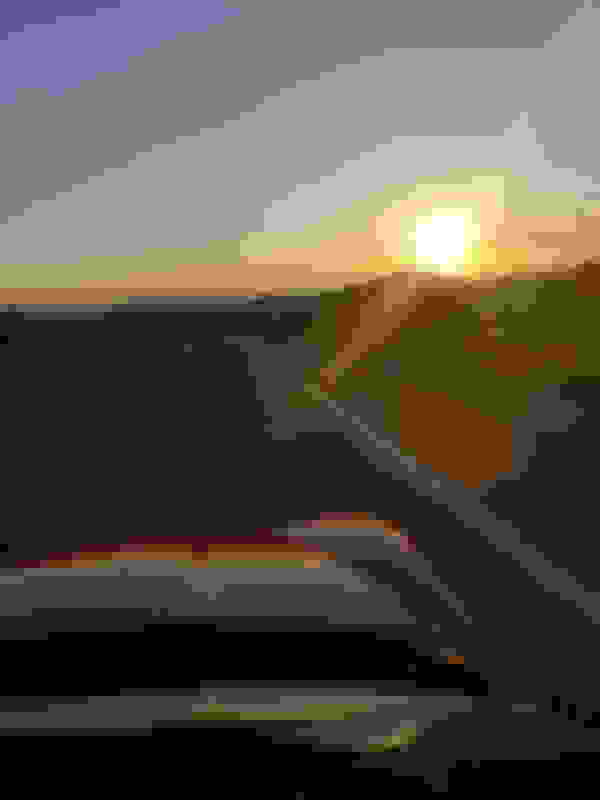 SixAddict - That 'How to Drive in Phoenix' is good stuff. Thanks. Phoenix Joke....It's so hot in Phoenix, that it's like baking cookies, 'cept you open the oven and there's no cookies. The way this winter has been going this could change.......love the heat though, the quicker the triple digits get here the less snowbirds also. Zombie thread, but that's not stopping anyone from reading it. People think of Arizona as desert. Phoenix is in the desert. The rest is more mountains than desert. Flagstaff, Payson, Show-Low, you've even got snow skiing at some of those locations. To go north or east out of Phoenix you're going to go through some serious mountains on some truly spectacular roads. "Arizona Highways" isn't a joke. There are some well engineered roads you can really wring out with a good sports car, like the Beeline Highway from Scottsdale to Payson, or even I-17 itself from Flag to Phoenix through "Bumblebee" . 191 from Clifton to Eager is the "twistiest road" in America. I've done it --- on a motorcycle! Wahooo! Phoenix is the biggest piece of urban sprawl you've ever seen. Fly in in a plane and you can be over Phoenix for more than 15 minutes before they even begin to descend. It's criss-crossed and looped with freeways, and outside of rush hour you can really haul ***. Luke AFB used to be 20 miles out of town. Now it's surrounded by suburbia. As for the weather...from about May 1 to October 1 it can be misery. Picture yourself stuck in traffic in triple digit weather. People basically live indoors in the summer here. There's no escape from the heat, and when the water in the swimming pool gets up to 90, it's no fun either. The winters, however, are spectacular. Snowbirding in Phoenix is the way to go. Anything you want you can get in Phoenix, from delicious ethnic foods, cheap, to having a differential rebuilt. I live in "America's original retirement community" Sun City. Because there's no school district, our taxes are incredibly low. Golf, rec centers. And lots and lots of car buffs. It's a little oasis, clean, relatively free of crime, litter, and other bad behavior. Tight HOA's. A real step back in time. I happen to like it. I went to school @ ASU in 1980 and left for San Diego after two brutal summers. Now I'm back, but just for the winters. Traffic would be my one complaint. Last edited by wadenelson; 03-13-2019 at 06:27 PM. To go north or east out of Phoenix you're going to go through some serious mountains on some truly spectacular roads. "Arizona Highways" isn't a joke. 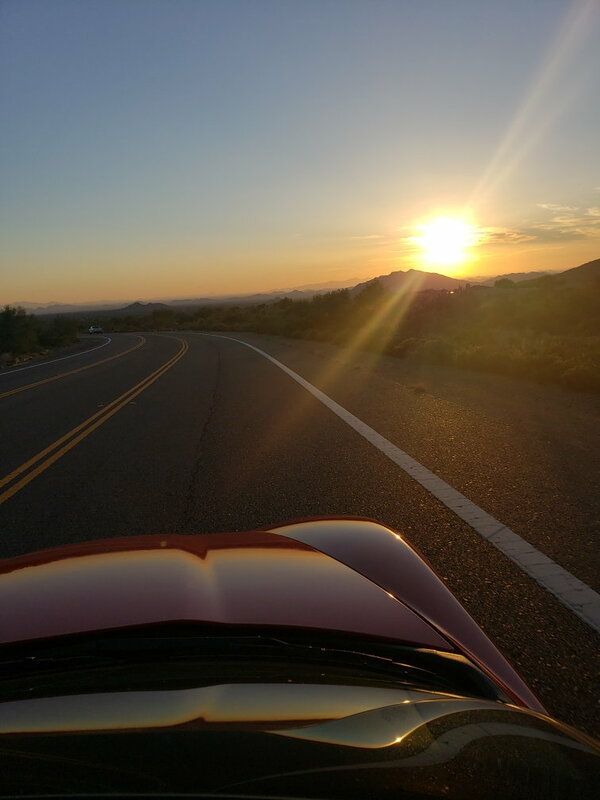 There are some well engineered roads you can really wring out with a good sports car, like the Beeline Highway from Scottsdale to Payson, or even I-17 itself from Flag to Phoenix. 191 from Clifton to Eager is the "twistiest road in America. And don't forget 93 from PHX through Wickenberg to Vegas. I've done that road at some spectacular speeds in some world class road cars. Don't forget your radar detector for that one! Try sometime to drive 64 from Tierra Amarilla to Tres Piedras (outside Taos) New Mexico. It's the last of the great fast roads in America. Often it's closed in winter; they don't plow it. Last edited by wadenelson; 03-14-2019 at 11:11 AM. Yes, I'm equipped with a K40 KA band plus laser jammer. It's been years, but lived in NM and had property in Angel Fire. Yep, I know the road. 191 from Clifton to Eager is the "twistiest road" in America. I've done it --- on a motorcycle! Wahooo! You nailed it there. Drove that in my C7 last summer and it was a blast. Funny, my GF, just this past weekend asked when we are going to go drive that again. She's a keeper. 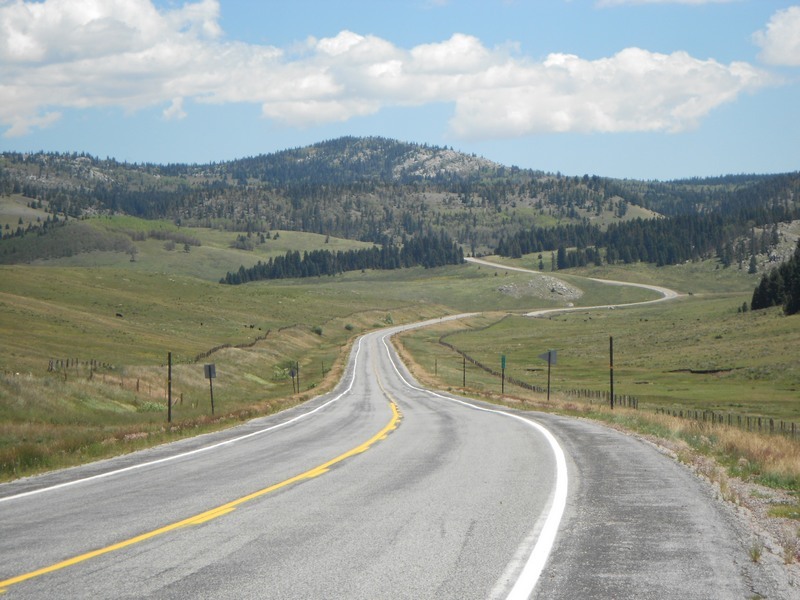 Car or motorcycle, that road is like a 2 1/2-hour tune-up for your riding/driving skills. We stopped repeatedly to take a break from ALL THOSE CURVES!!! I'll be driving that Clifton to Eagar route early May. Got tickets to the Yankee Diamondback games in early May and will go on from there. Great way to start the Month of May. Not much food or gas along that route. Plan accordingly. Glad to hear that! We love Arizona! "It's so crowded that nobody goes there anymore." We have tentatively decided not to move here, though the overcrowding was only one of several factors for us. Come on over to Lake Havasu. A traffic jam here is 3 cars lined up. That's inviting. Unfortunately, we need to be near a major United Airlines airport. Back in the late 1960's I used to fly for a now-defunct commuter called Cable Commuter Airlines, we went to Havasu and it was pretty out there. Carefree Arizona. Love my area. You're not honestly claiming Phoenix traffic is worse than L.A. are you? Thanks, that one actually made me laugh out loud. i moved to Apache Junction from Chicago in December 2018 and the traffic here is a mere bag of shells compared to Chicago. The interstate are so well laid out it is easy to commute. DFW, Best Buy head unit install C6 GS.